NEW YORK -- The New York City medical examiner’s office, citing diplomatic protocol, will not release the cause and manner of death for Russia’s ambassador to the United Nations, who died suddenly last month after collapsing in his office. The U.S. Department of State asked the city in writing on Feb. 24 to not reveal the autopsy results, because Churkin’s diplomatic immunity survives his death. “The United States insists on the dignified handling of the remains of our diplomatic personnel who pass away abroad (including in Russia) and works to prevent unnecessary disclosures regarding the circumstances of their deaths,” wrote James Donovan, minister counselor for host country affairs for the U.S. mission to the United Nations. In a follow-up letter on March 1, the State Department noted that the Russian Federation raised concerns after the autopsy had been conducted, and “voluntary statements reported in the media about Ambassador Churkin’s medical history” prompted complaints from Russian diplomats. “The information reported was very private in nature and included information about which even they had no knowledge,” Donovan wrote in the follow-up letter to Mayor Bill de Blasio’s international affairs office. A State Department official told CBS News Friday that the department wasn’t in a position to comment on the autopsy, which the official said was consistent with American obligations under an agreement between the U.S. and the U.N. The medical examiner is responsible for investigating deaths that occur by criminal violence, accident, suicide, suddenly or when the person seemed healthy, or if someone died in any unusual or suspicious manner. Most of the deaths investigated by the office are not suspicious. City policy is to release the cause of death. 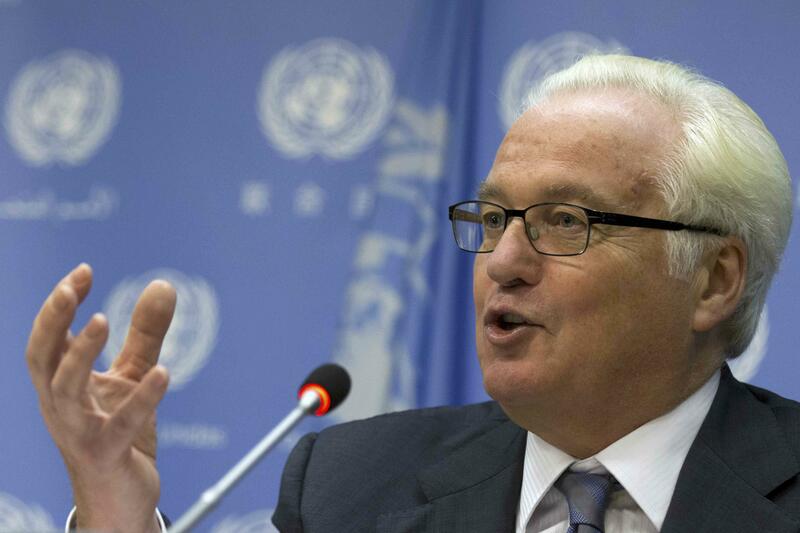 Churkin, who died Feb. 20 at a hospital at age 64, had been Russia’s envoy at the U.N. since 2006. He was the longest-serving ambassador on the Security Council, the U.N.’s most powerful body. He was buried in Moscow, where he was praised by Foreign Minister Sergey Lavrov as an “exceptional professional and people’s diplomat.” The Order of Courage, a medal awarded posthumously to Churkin by President Vladimir Putin, was displayed at his coffin.